If you are an importer who is currently being impacted by the new Section 301 tariffs for products imported from China to the US, we may have some good news for you! Now is your chance to request that your products be excluded from these tariffs. The Office of the US Trade Representative has published instructions for filing Section 301 Chinese tariff exclusion requests in the Federal Register. The deadline to complete the exclusion request is October 9, 2018. If you have any questions regarding the Section 301 Tariffs or need help filing for exclusion, please contact your UWL Sales Rep, Logistics Coordinator, or Shannon Dillinger, UWL Director of Compliance. 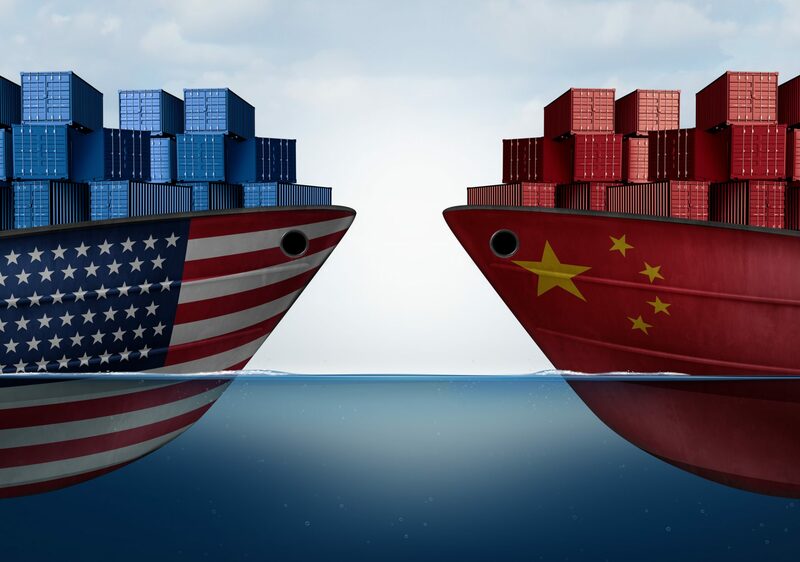 Check out our blog post about the United States and China Trade War: Tariff Showdown to learn more about the tariffs and their impact on different industries. In a notice published on June 20, 2018, the U.S. Trade Representative determined that appropriate action to obtain the elimination of China’s acts, policies, and practices related to technology transfer, intellectual property, and innovation includes the imposition of an additional ad valorem duty of 25 percent on products from China classified in certain enumerated subheadings of the Harmonized Tariff Schedule of the United States (HTSUS). See 83 FR 28710. 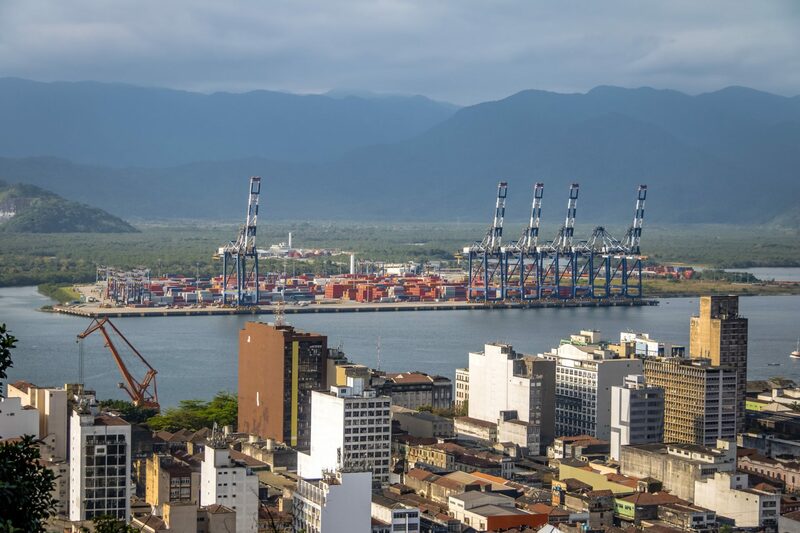 The June 20 notice also announced that the Trade Representative would establish a process by which U.S. stakeholders may request that particular products classified within a covered tariff subheading be excluded from the additional duties. Today’s notice sets out the specific procedures and criteria related to requests for product exclusions, and opens up a docket for the receipt of exclusion requests. Responses to a request for exclusion of a particular product are due 14 days after the request is posted in docket number USTR–2018–0025 on www.regulations.gov. Any replies to responses to an exclusion request are due 7 days after the close of the 14 day response period. USTR strongly prefers electronic submissions made through the Federal eRulemaking Portal: http://www.regulations.gov. Follow the instructions for submitting requests for exclusion and responses to requests in section B below. The docket number is USTR–2018–0025. For questions about the product exclusion process, contact USTR Assistant General Counsel Arthur Tsao or Director of Industrial Goods Justin Hoffmann at (202) 395–5725. For questions on customs classification or implementation of additional duties, contact Traderemedy@cbp.dhs.gov. On August 18, 2017, the Trade Representative initiated an investigation of the government of China's acts, policies, and practices related to technology transfer, intellectual property, and innovation. See 82 FR 40213. The proceedings in the investigation up through the Trade Representative's determination that China's acts, policies, and practices are actionable under section 301(b) of the Trade Act of 1974 (19 U.S.C. 2411(b)) are set out in the notice published at 83 FR 14906 (April 6, 2018). The April 6, 2018 notice invited public comment on a proposed action in the investigation: The imposition of an additional ad valorem duty of 25 percent on products from China classified in a list of 1,333 tariff subheadings. As explained in the notice, the value of the products on the list was approximately $50 billion in terms of estimated annual trade value for calendar year 2018, and the level was appropriate both in light of the estimated harm to the U.S. economy, and to obtain elimination of China's harmful acts, policies, and practices. USTR invited interested persons to provide comments and participate in a hearing. The public submissions and a transcript of the hearing are available on www.regulations.gov in docket number USTR-2018-0005. USTR and the interagency Section 301 Committee carefully reviewed the public comments and the testimony from the three day public hearing. USTR and the Section 301 Committee also carefully reviewed the extent to which the tariff subheadings in the April 6, 2018 notice included products containing industrially significant technology, including technologies and products related to the “Made in China 2025” program. Based on this review process, on June 20, 2018, the Trade Representative determined that appropriate action in this investigation includes the imposition of an additional ad valorem duty of 25 percent on products from China classified in the 818 subheadings of the HTSUS set out in Annex A of the notice published at 83 FR 28710 (June 20, 2018). The additional duties on these products took effect on July 6, 2018. During the notice and comment process, a number of interested persons asserted that specific products within a particular tariff subheading only were available from China, that imposition of additional duties on the specific products would cause severe economic harm to a U.S. interest, and that the specific products were not strategically important or related to the “Made in China 2025” program. In light of such concerns, the Trade Representative determined to establish a process by which U.S. stakeholders may request that particular products classified within a covered HTSUS subheading be excluded from the additional duties. That process is set out in the remainder of this notice. USTR invites interested persons, including trade associations, to submit requests for exclusion from the additional duties of a particular product classified within a HTSUS subheading set out in Annex A of the notice published at 83 FR 28710 (June 20, 2018). As explained in more detail below, each request must specifically identify a particular product, and provide supporting data and the rationale for the requested exclusion. USTR will evaluate each request on a case-by-case basis, taking into account whether the exclusion would undermine the objective of the Section 301 investigation. Any exclusion will be effective starting from the July 6, 2018 effective date of the additional duties, and extend for one year after the publication of the exclusion determination in the Federal Register. In other words, an exclusion, if granted, will apply retroactively to the July 6 date of the imposition of the additional duties. USTR periodically will announce decisions on pending requests. The 10 digit subheading of the HTSUS most applicable to the particular product requested for exclusion. Requestors also may submit information on the ability of U.S. Customs and Border Protection to administer the exclusion. Requestors must provide the annual quantity and value of the Chinese-origin product that the requestor purchased in each of the last three years. For trade association requestors, please provide such information based on your members' data. If precise annual quantity and value information is not available, please provide an estimate and explain the basis for the estimation. Whether the particular product is available only from China. In addressing this factor, requestors should address specifically whether the particular product and/or a comparable product is available from sources in the United States and/or in third countries. Whether the imposition of additional duties on the particular product would cause severe economic harm to the requestor or other U.S. interests. Requestors may also provide any other information or data that they consider relevant to an evaluation of the request. Any request that contains business confidential information (BCI) must be accompanied by a public version. The public version will be posted on regulations.gov. After a request for exclusion of a particular product is posted on docket number USTR 2018-0025, interested persons will have 14 days to respond to the request, indicating support or opposition and providing reasons for their view. All responses must clearly identify the specific request for exclusion being addressed. You can view requests for exclusions on www.regulations.gov by entering docket number USTR-2018-0025 in the search field on the home page. After a response is posted on docket number USTR 2018-0025, interested persons will have the opportunity to reply to the response. Any reply must be posted within 7 days after the close of the 14 day response period. All replies clearly must identify the specific responses being addressed. As noted above, interested persons must submit requests for exclusions by October 9, 2018; any responses to those requests must be submitted within 14 days after the requests are posted; and any reply to a response must be submitted within 7 days after the close of the 14 day response period. Interested persons seeking to exclude two or more products must submit a separate request for each product, i.e., one product per request. To assist in review of requests for exclusion, USTR has prepared a request form that will be posted on the USTR website under “Enforcement/Section 301 investigations” and on the www.regulations.gov docket in the “supporting documents” section. USTR strongly encourages interested persons to use the form to submit requests. All submissions must be in English and sent electronically via www.regulations.gov. To submit requests via www.regulations.gov, enter document ID number USTR-2018-0025-0001 on the home page and click “search.” The site will provide a search-results page listing the Federal Register Notice associated with this docket. Find a reference to this notice and click on the link titled “comment now!”. Once posted on the electronic docket, the exclusion request will be viewable in the “primary documents” section. File names for requests for exclusions should include the 10 digit subheading of the HTSUS most applicable to the particular product and the name of the person or entity submitting the comments (e.g., 1234567890 Initech). If the request includes BCI, then two files must be submitted—the business confidential version and a pubic version. The file names should indicate the version, e.g., 1234567890 Initech BC and 1234567890 Initech P. Additional instructions on business confidential submissions can be found below. To respond to a request for exclusion, please find the request in the “primary documents” section of the docket and click on the link titled “comment now!” associated with that specific request. Responses made on requests for exclusion will appear in the “comments” section of the docket. File names for responses to requests should include the document ID of the request and the name of the person or entity submitting the response (e.g., USTR-2018-0025-0005 Initrode). If the response includes BCI, then two files must be submitted—the BCI version and a public version. The file names should indicate the version, e.g., USTR-2018-0025-0001 Initrode BC and USTR-2018-0025-0001 Initrode P.
To reply to a response made to an exclusion request, please find the exclusion request that is the subject of the response in the “primary documents” section of the docket and click on the link titled “comment now!”. Replies will appear in the “comments” section of the docket. File names for replies should include the document ID of the response and the name of the person or entity submitting the reply (e.g., USTR-2018-0025-0020 Initech). If the reply includes BCI, then two files must be submitted—the BCI version and a public version. The file names should indicate the version, e.g., USTR-2018-0025-0020 Initech BC and USTR-2018-0025-0020 Initech P.
For further information on using the www.regulations.gov website, please consult the resources provided on the website by clicking on “How to Use Regulations.gov” on the bottom of the home page. USTR prefers that you submit requests for product exclusions in an attached document. If you attach a document, it is sufficient to type “see attached” in the “comment” field. USTR strongly prefers that you make submissions using the request form that will be posted on the USTR website under “Enforcement/Section 301 investigations” and on the www.regulations.gov docket in the “supporting documents” section saved as a searchable Adobe Acrobat file (.pdf). If you do not use the USTR form, USTR prefers submissions made in Microsoft Word (.doc) or searchable Adobe Acrobat (.pdf). If you use an application other than those two, please indicate the name of the application in the “comment” field. Please do not attach separate cover letters to electronic submissions; rather, include any information that might appear in a cover letter in the comments themselves. Similarly, to the extent possible, please include any exhibits, annexes, or other attachments in the same file as the comment itself, rather than submitting them as separate files. For any documents submitted electronically containing BCI, the file name of the business confidential version should end with the characters “BC”. Any page containing BCI must be clearly marked “BUSINESS CONFIDENTIAL” on the top of that page and the submission should clearly indicate, via brackets, highlighting, or other means, the specific information that is business confidential. If you request business confidential treatment, you must certify in writing that disclosure of the information would endanger trade secrets or profitability, and that the information would not customarily be released to the public. Filers of submissions containing BCI also must submit a public version of their submissions. The file name of the public version should end with the character “P”. The “BC” and “P” should follow the rest of the file name. If these procedures are not sufficient to protect BCI or otherwise protect business interests, please contact the USTR Section 301 line at (202) 395-5725 to discuss whether alternative arrangements are possible. USTR will post submissions in the docket for public inspection, except BCI. You can view submissions on the https://www.regulations.gov website by entering docket number USTR-2018-0025 in the search field on the home page. 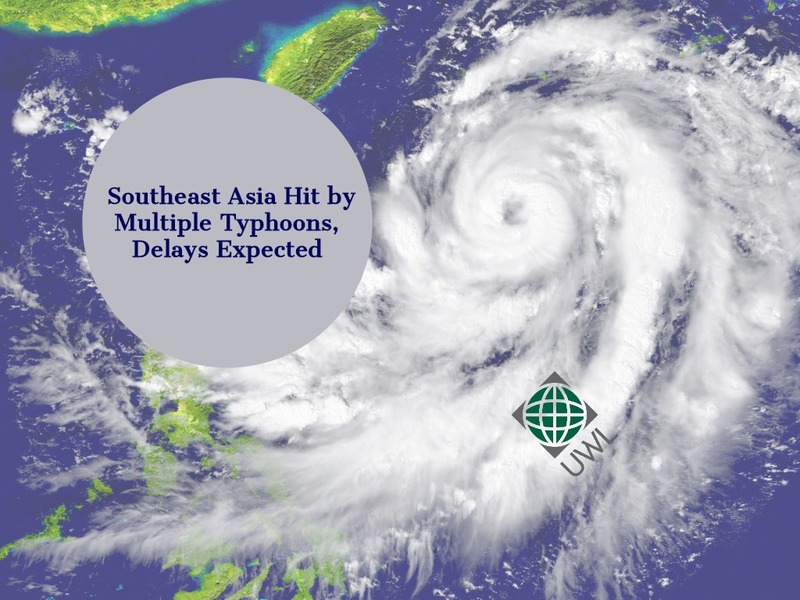 Your source for logistics industry information, regulatory updates, current events and more. 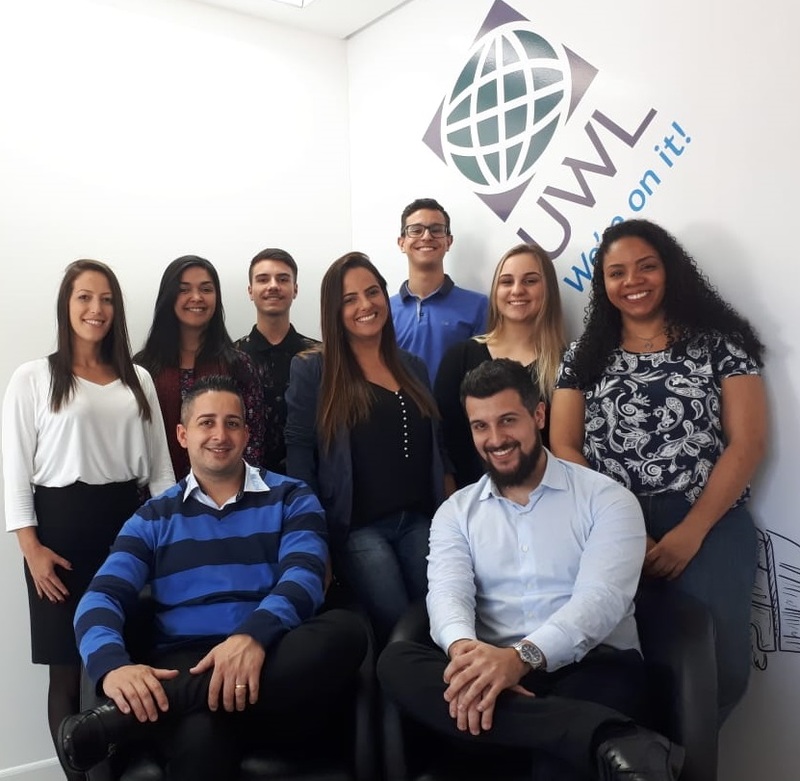 UWL South America – Itajaí, Brazil Team Featured Above: Team members from UWL do Brazil in our Itajaí office. UWL South America – São Paulo Featured Above: Arthur Botelho, one of the team members from UWL São Paulo.